I bought MAC On Hold when I visited the MAC store in Birmingham recently. I'm always a sucker for a new MAC lipstick and I'm starting to exhaust the usual colours I would choose. Slowly I'm being more adventurous with colour and I think this is what lead me to buy On Hold. 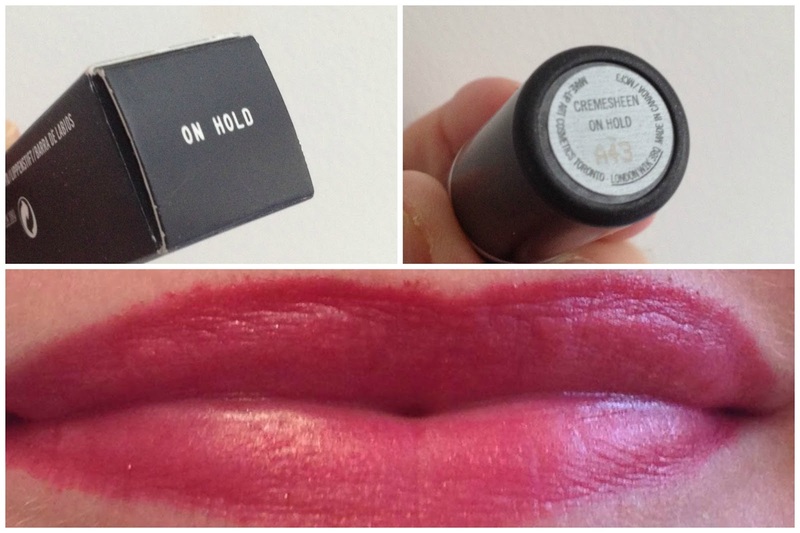 On Hold is a Cremesheen finish so it is opaque and creamy. 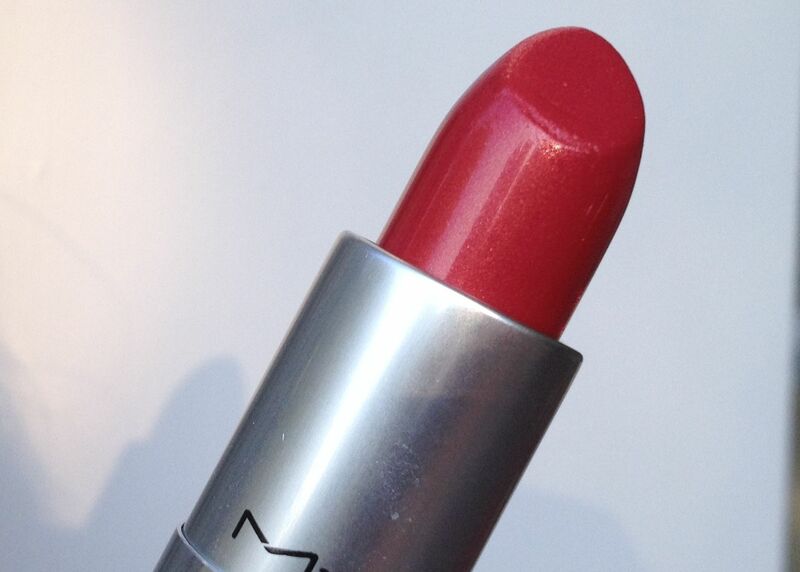 It lasts quite well - not as long as a matte but longer than a glossy lipstick. The lipstick is packaged in the usual MAC black plastic bullet and like all MAC lipsticks has that lovely vanilla scent. On Hold is quite a bright colour on me. It is a pinky red or coral with a slight gold shimmer to it. 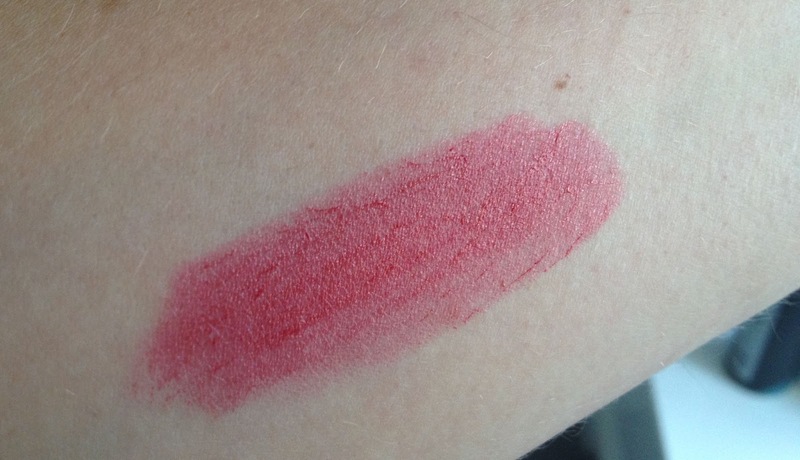 Looking at swatches and photos of it on other people it can look quite subtle, but on me I think it looks quite bright red. Although if you are a regular My Beautopia reader you will know that I always panic about a bright lip! 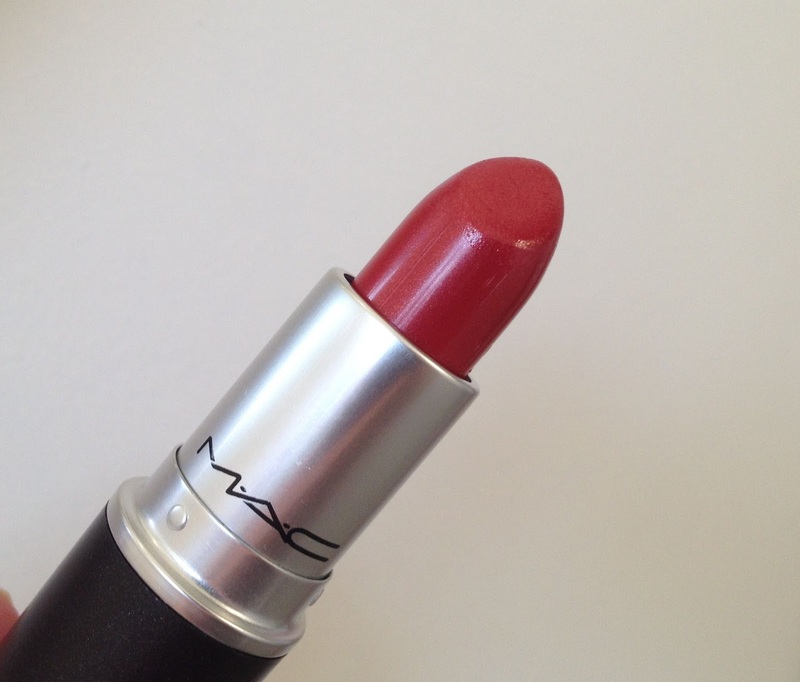 Perhaps I wouldn't pull it off as a daytime shade but it would be perfect for the evening. When you look at the close up photo you can just make out the gold shimmer. Although in the flesh the shimmer is very subtle and not too glitzy. MAC On Hold Cremesheen Lipstick is £15 HERE. Want to see more MAC Monday? Check out my previous posts HERE and skip over to Swatch and Review because Julie is another MAC Monday girl!